DAY 1: CUENCA – LLAVIUCO “Cloud forest” & THE CAJAS N P HIGH LANDS (17 Km), only 20 min away from Cuenca is the lower part of El Cajas NP. It possesses a highly interesting mixture of habitats for bird-watching: well preserved mountain forests, paramos, lakes and pastures. The mountain Toucan, Andean Guan, Masked Trogon, Turquoise Jay, colorful Tanagers and 12 species of Hummingbirds and aquatic birds are among the highlights. DAY 2 CUENCA CHORRO DE GIRON – YUNGUILLA – ZARUMA. The Chorro de Giron is a very important humid mountain forest, with a great diversity of birds; in the area we have mayor influence from the Tumbesian bioregion. After Chorro de Giron the route takes us into an inter-Andean valley which marks a transition tocoastal plain or lower lands, with different climatic zones and ecosystems: the western Andean foothills, the subtropical valley and the desert like zone. It is also the doorway to the Tumbesian region. Crimson-mantled Woodpecker, Stripped Owl, the endemic Tumbesian Pacific Elania and Pale-headed Brush-Finch were rediscovered in 1998 and it is quite common in the area. Late in the afternoon we arrive to Zaruma at the end of the day. Here there’s a chance for wandering around this small town with a wonderful colonial style architecture and important mining history. DAY 3: BUENAVENTURA – VILCABAMBA. This reserve is located near Piñas and Zaruma in El Oro province. 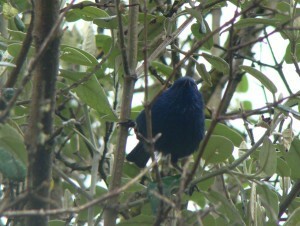 The area is renowned for being one of the ornithological richest and easiest accessible sites in The Ecuadorian Andes. It protects a narrow zone of cloud forest habitat on the otherwise seasonally dry west slope of the Andes in Southern Ecuador. The reserve is the type locality of the El Oro Parakeet and the El Oro Tapaculo and is home of species like the Club-winged Manakin (small passerine bird which is a resident breeding species in the cloud forest on thewestern slopes of the Andes Mountains of Colombia and northwestern Ecuador). The manakins are a family of some sixty small bird species of subtropical and tropical Central and South America. Late arrival to Vilcabamba for a great and relaxed atmosphere. 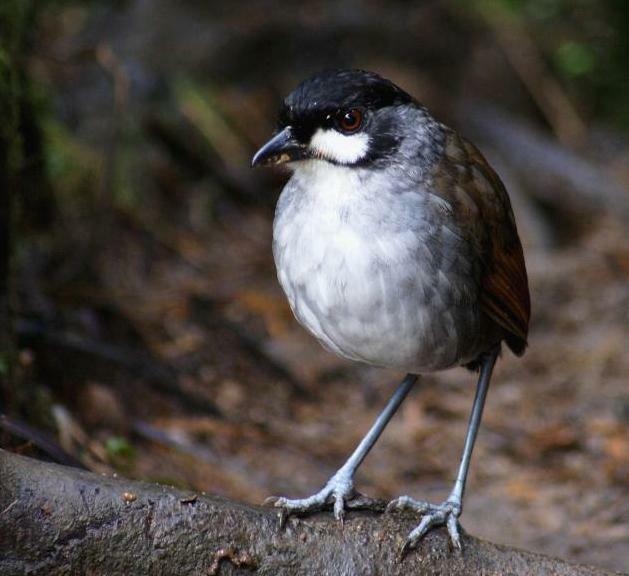 This reserve was established to protect the type locality and only known range of the newly discovered Jocotoco Antpitta (Grallaria ridgelyi). The reserve, which protects an unusually wet area of temperate-zone forest on the east slope of the Andes, is located along the trail to Quebrada Honda below Cerro Tapichalaca. In addition to the Antpitta, the reserve is also home to other vulnerable restricted range birds such as the Bearded Guan, Golden-plumed Parakeet, Rufous-capped Thornbill, and Masked Saltator. 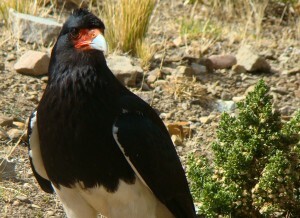 The reserve is also home to the Spectacled Bear and Woolly Mountain Tapir. Late arrival to Zamora, a gateway town to the Amazon rain forest. Podocarpus is considered one of the richest areas in the world with regard to birds’ diversity. 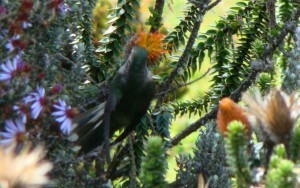 Within the park more than 560 species have been identified. For this reason it has become one of the most visited areas in the world for bird watching. We will visit the low part of the park known as Bombuscaro, which is already in the eastern Andean foothills and connected with the Amazon rain forest environment. Some of the specialties here include Maroon-tailed and White-breasted Parakeets, Amazonian Umbrella bird, Highland Motmot and a spectacular number of colorful tanagers. At the end of the trip passengers can be dropped off at Loja’s airport or return by car to Cuenca or Guayaquil. Hotels standards may vary depending on location, so we use best accommodation available. Weather conditions form cold at highlands to warm and hot at the low lands, also rainy areas.